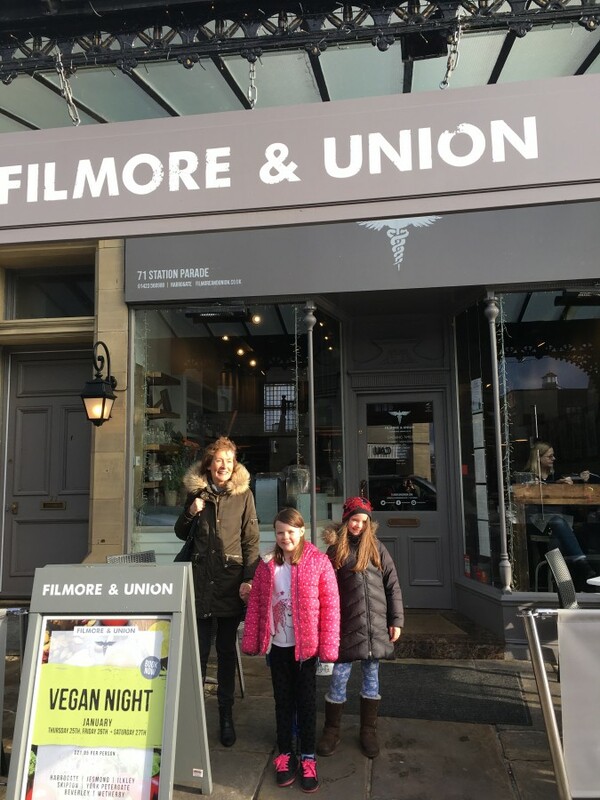 I love a bit of Filmore and Union, it’s a great spot for coffee with the Mamas. It’s also perfect for whenever I’ve skipped breakfast in favour of loading the dishwasher before dashing out of the door for the school run, then their peanut butter and banana bagel always fills me up till school pick up time! 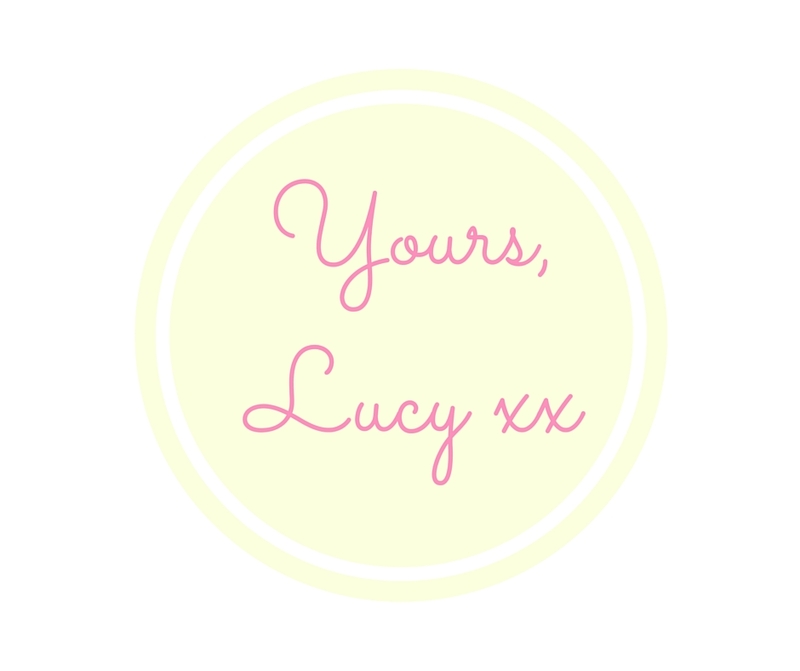 So I was pleased to hear that they’d extended their family offering too by updating their junior menu – which includes healthy choices your Smalls will actually eat! The new menu features a ‘build your own pizza’ made on a spinach wrap base with a choice of toppings including broccoli, feta, chicken, sausage, and red peppers. Snacks include sweet potato wedges and a fruit plate, and there are lots of yummy sweet options that are handmade with natural ingredients and include no refined sugar including Filmore’s famous chocolate brownie and a chocolate peanut butter and banana pizza! 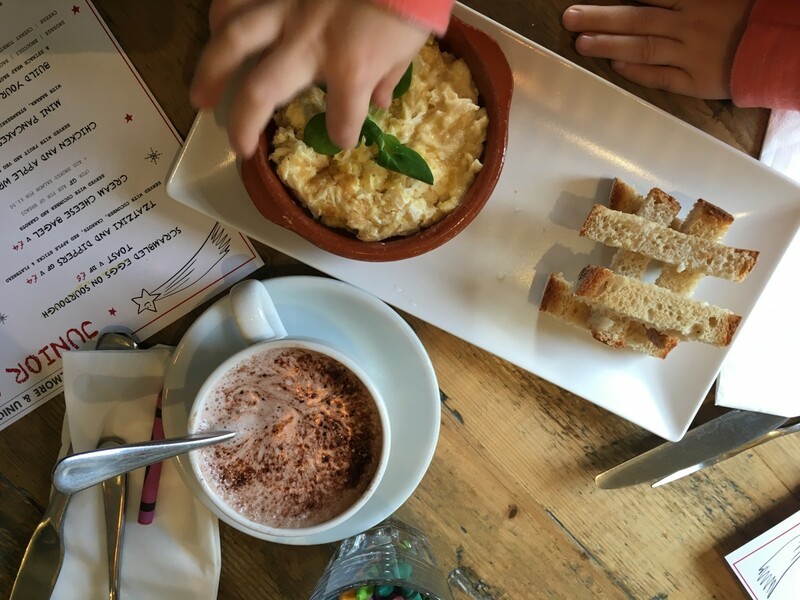 Plus it’s great for kids with special dietary requirements including gluten free and dairy free dishes, and everything on the menu can be adapted for those with allergies or other requirements. We went along (with Harrogate Nana!) to check it out! 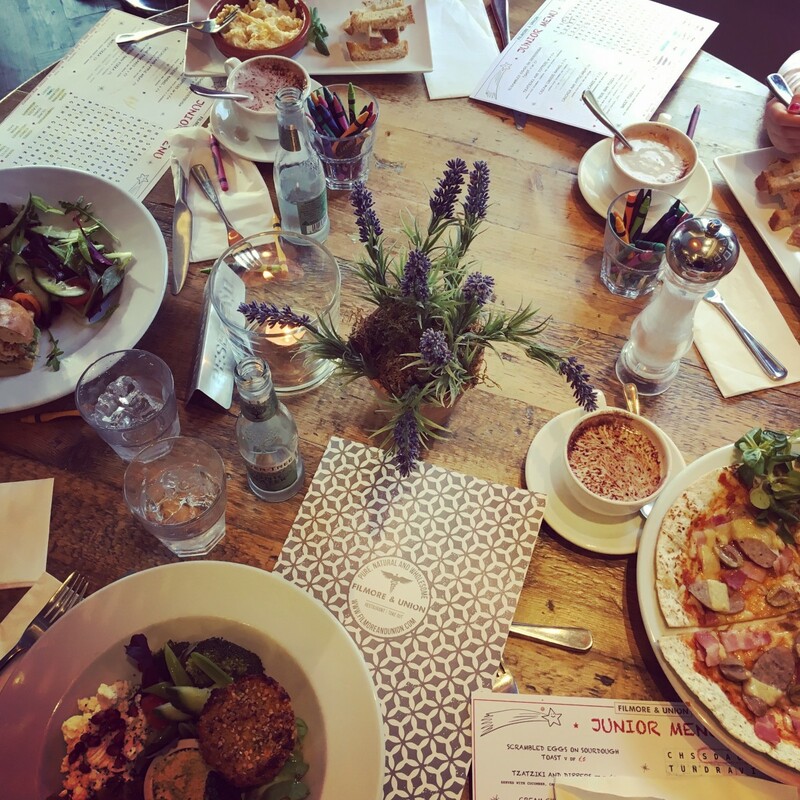 It was so great to have some seriously tasty, fresh, healthy food after all the Christmas indulgence! 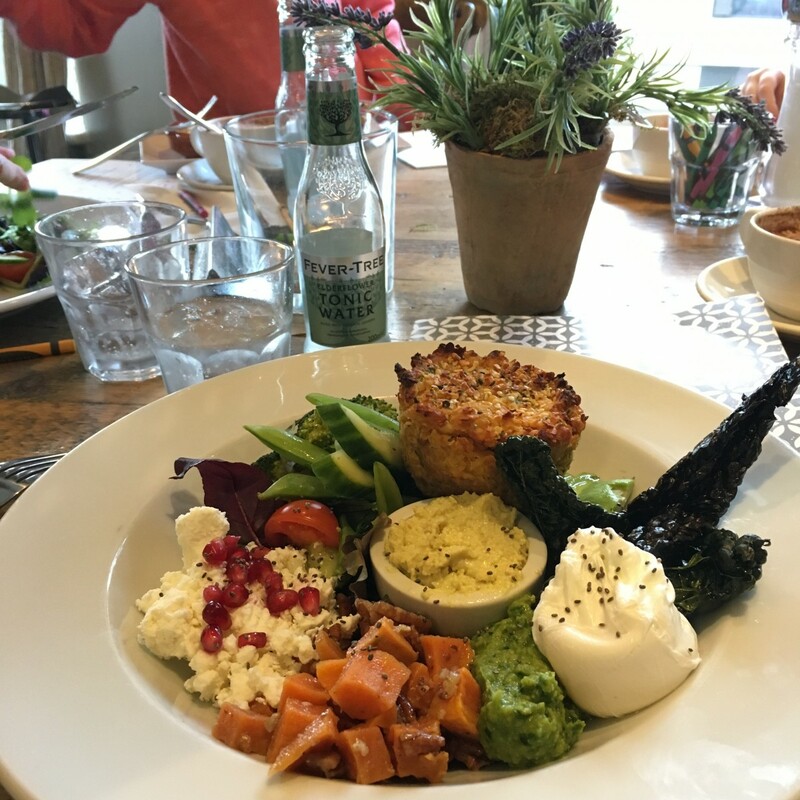 I chose a Bench Press Goodness Bowl, which was packed with all the colours of the rainbow and included; Quinoa, avocado, maple pecan, sweet potato, feta, hummus, poached egg, mixed seeds and coronation cashew dressing, with a red lentil and feta cake! It was amazing and just looking at it alone made me feel better! It tasted delicious whilst also making me feel virtuous, a hard combination to achieve! 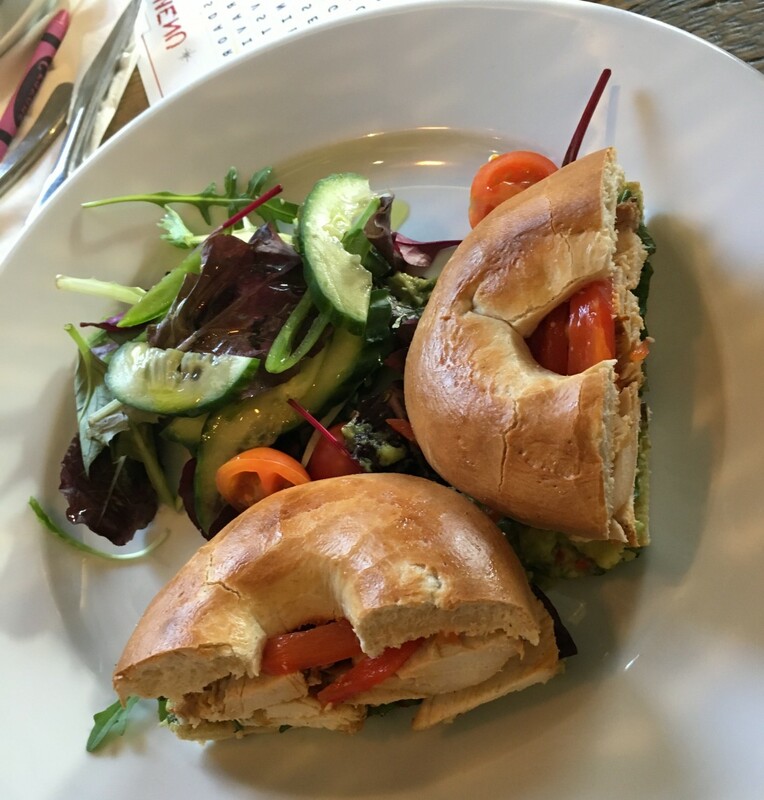 Harrogate Nana went for the Filmore Classic Bagel Hot Jacks, with Pimento roasted chicken with red peppers and homemade guacamole! Which she thoroughly enjoyed! The Smalls were happiest of all though, firstly they chose hot chocolate as their drink of choice, not so healthy, but you know, milk! 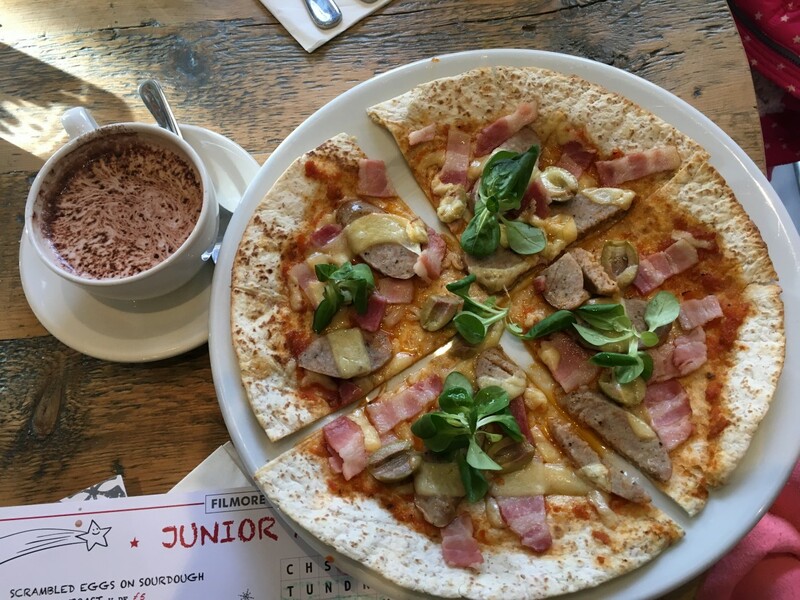 One of the big girls chose the Build Your Own Pizza on a Spinach wrap base with a choice of toppings and the other two went for a perfectly cooked classic; scrambled eggs! 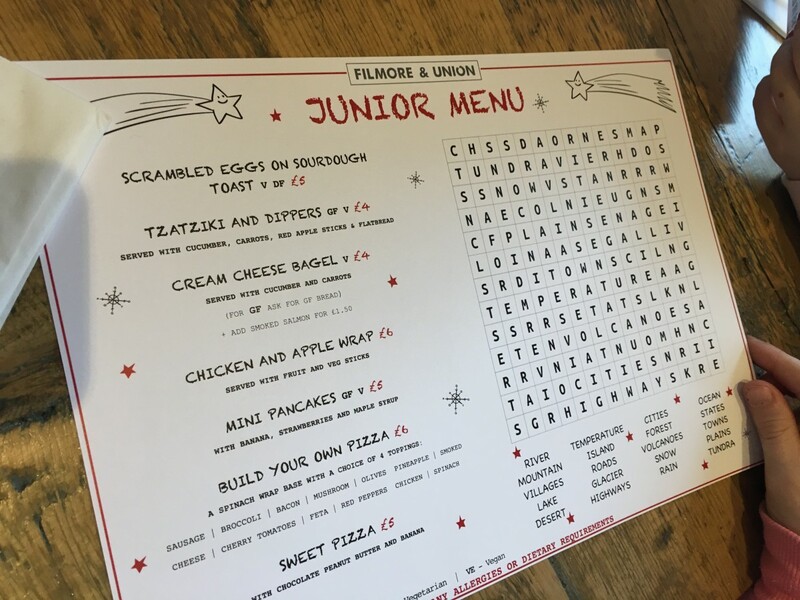 The menu is just big enough and designed with dishes your children would actually choose on it too! There was quite some wavering over the Mini Pancakes with banana, strawberries and maple syrup and the Sweet Pizza, with chocolate, peanut butter and banana too! We loved our lunch, all ate it all, and we’ll definitely be back! 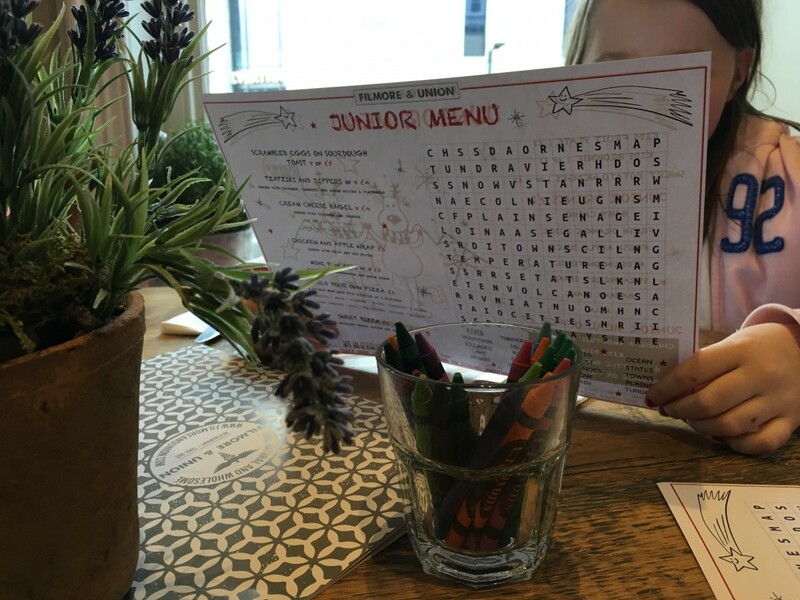 The service was friendly and helpful, there were highchairs should we have needed them, the all important colouring for the Smalls and a lovely atmosphere! Have you been with your Smalls? What did you think? 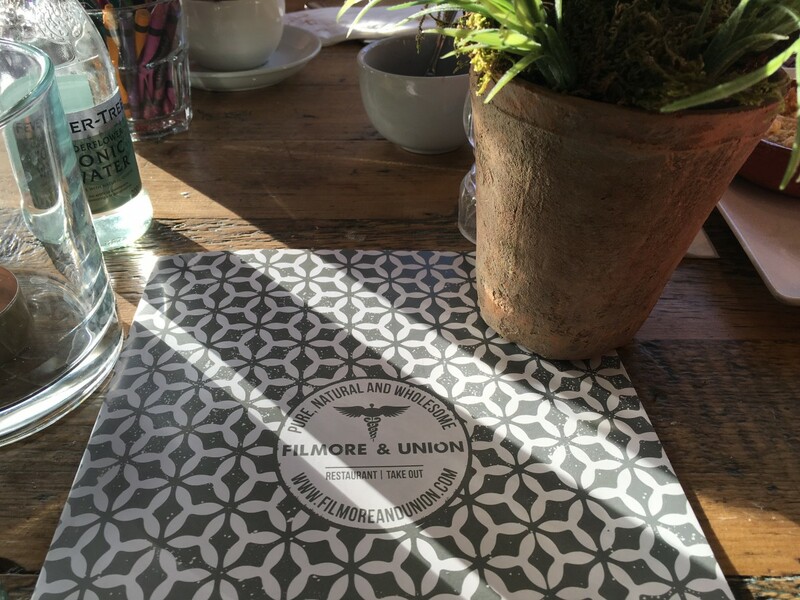 Disclaimer: Filmore and Union invited us to try their new junior menu with their compliments, the views are my own.